Overall, the play is memorable, funny, relatable, and fun. A must see! 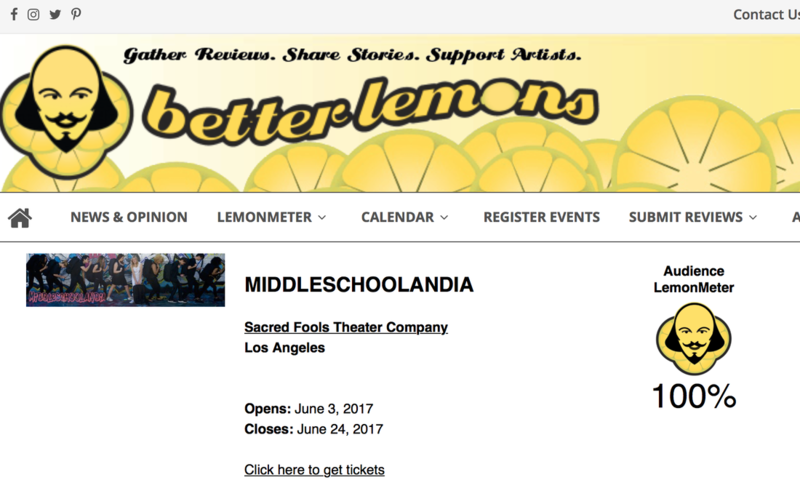 I'm bringing my daughter to see this. I've been talking to her about this show all week. I got a chance to see the 11am performance on June 11th, and I was not disappointed. It was a lot of fun. Filled with hormones, preservatives and hope, today's teens are thrust into a frightening world of Middleschoolandia. 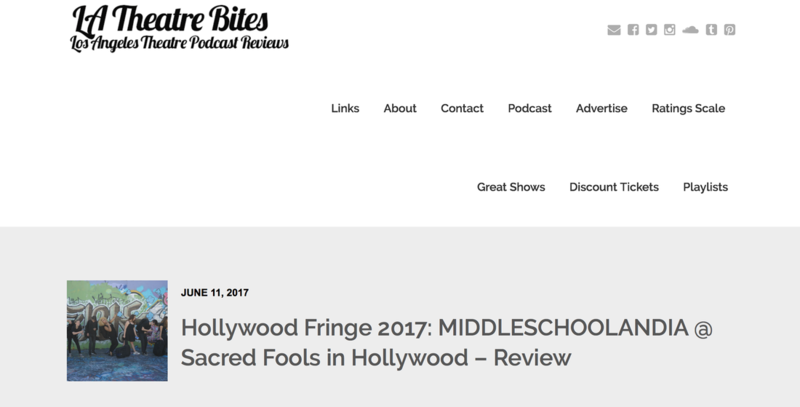 Featuring actual middleschoolers proving both the fierce talent of young people, and the impossibility of making it through Middleschoolandia unscathed. ​A hilarious satire on the tragedy of our school system. 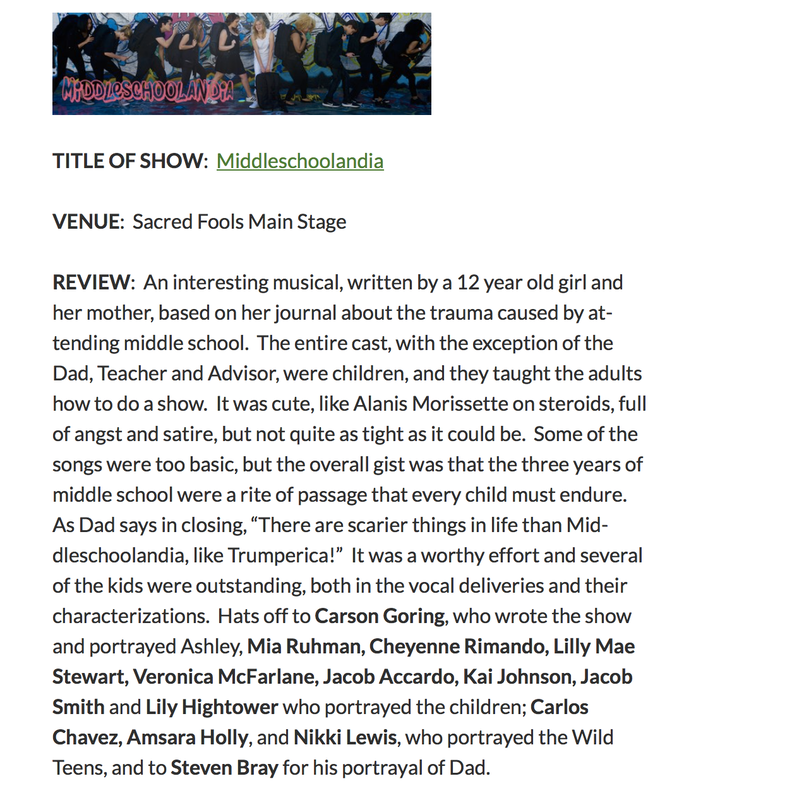 With original songs such as “The Profanity Song”, and "I'm only 12", Middleschoolandia is a high energy, highly original musical performed.LIVE. No mics, no recorded music, all talent. 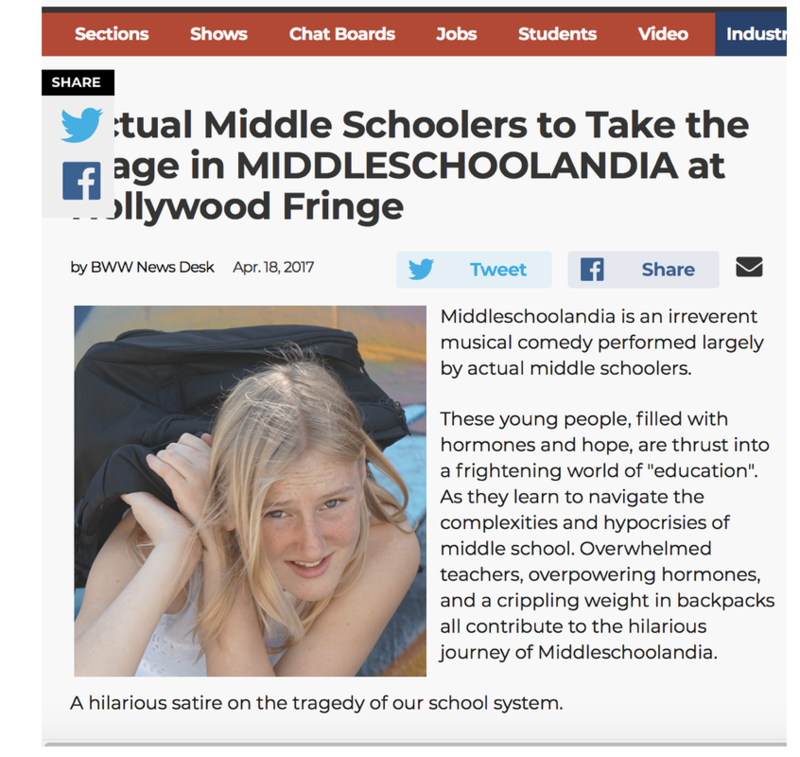 Featuring real middle schoolers...And co written by a twelve year old, Middleschoolandia is based on real events, experiences and feelings of surviving middle school.